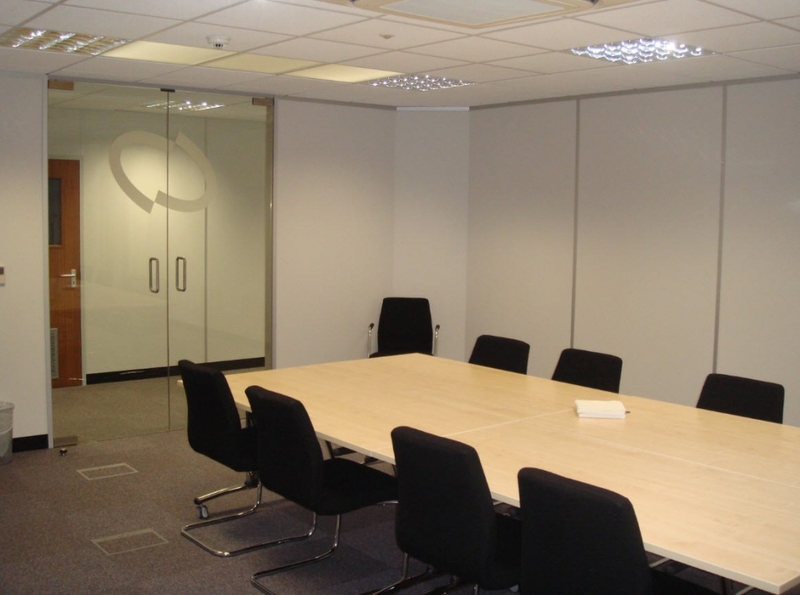 Why go through the upheaval and expense of moving to larger premises when often a rethink and adjustment to your office layout can provide the additional space you require. 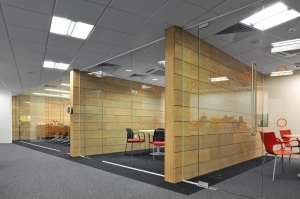 It is essential that thought and care is adopted when designing your new office interior, building in contingency to prevent you running out of space again a few years later. 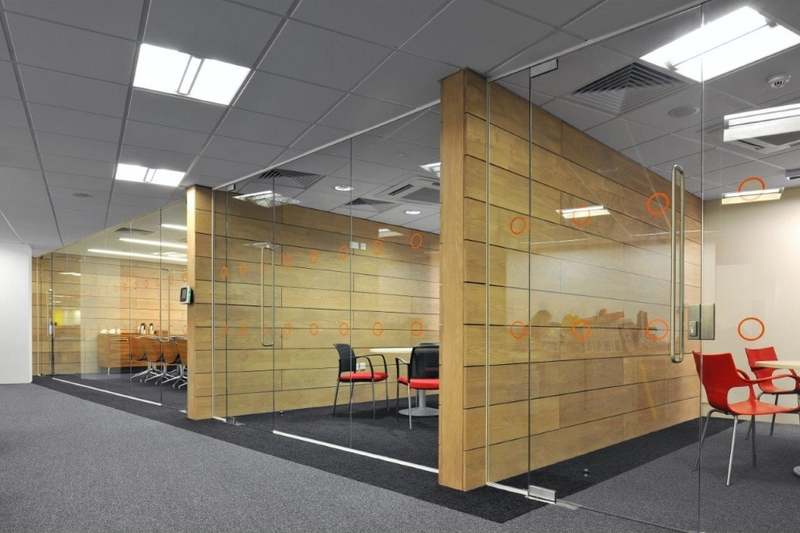 At Cubex, our office design team adopts a collaborative approach with our clients, seeking first to understand not only their present requirements but also working with them to address any future expansion potential. 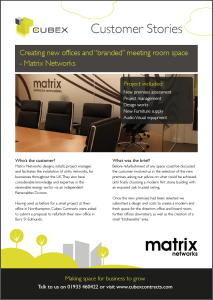 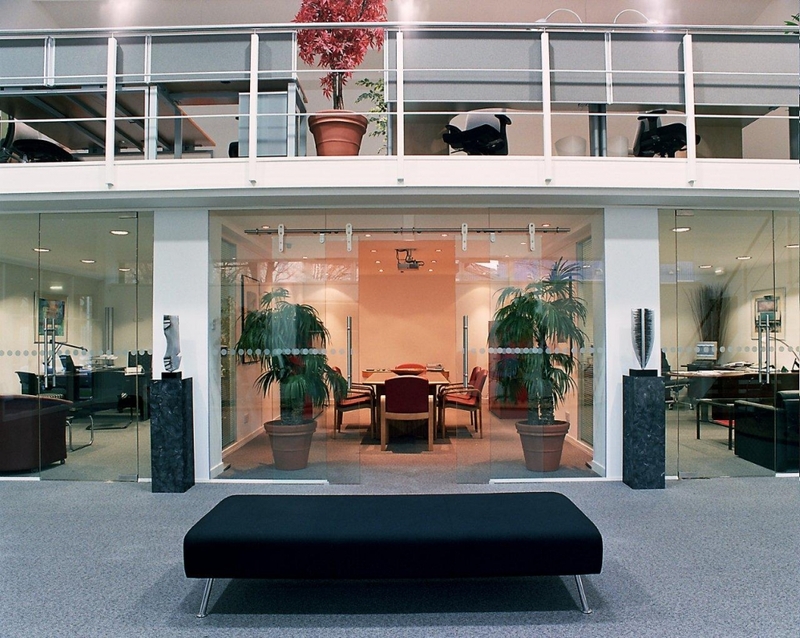 Your office design reflects the identity of your business. 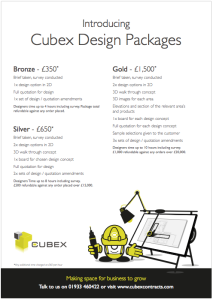 Cubex seeks to support that identity from reception area to board room, providing our clients with comprehensive CAD drawings to assist them in planning office furniture and work flow schemes for their office. 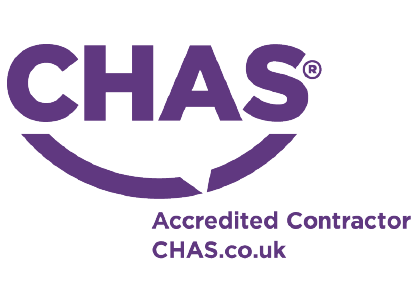 provides staff with an environment which is both professional and harmonious. 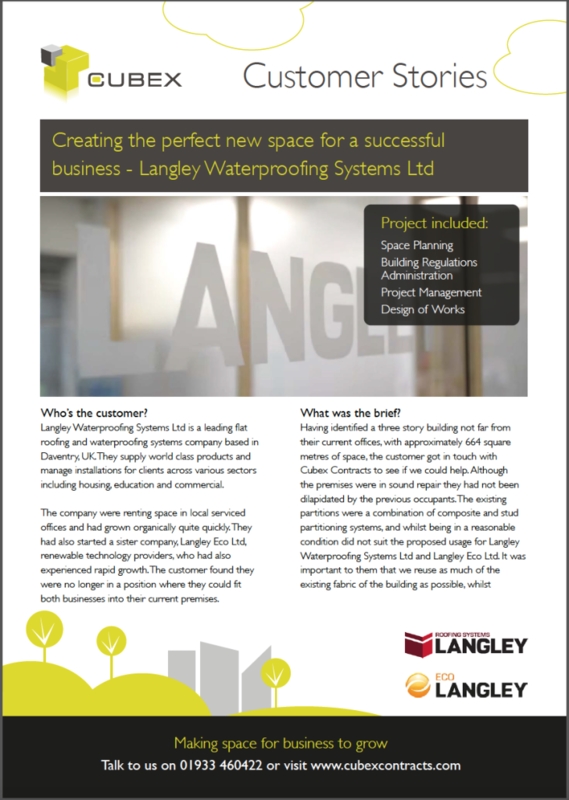 Our 5 step design process and office design packages ensure you stay within your budget and still receive the very best expert service. 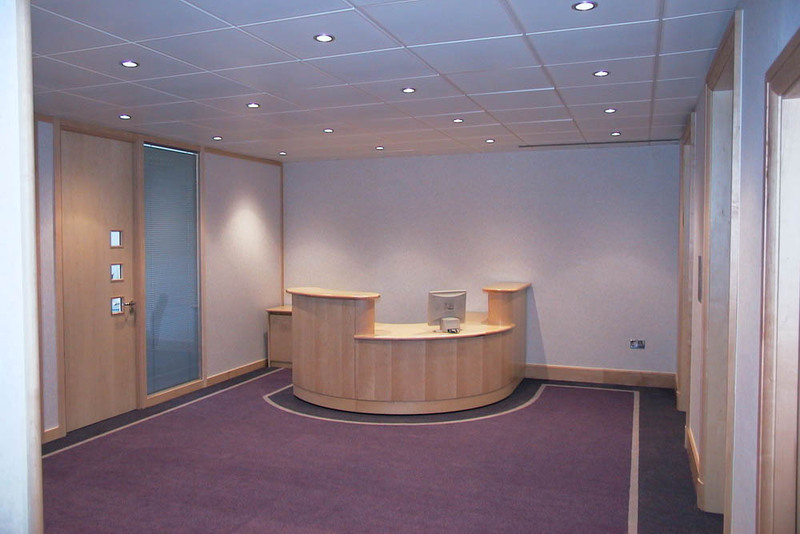 We’ll guide you through every stage from brief and surveying, to the presentation of your final design and moodboard. 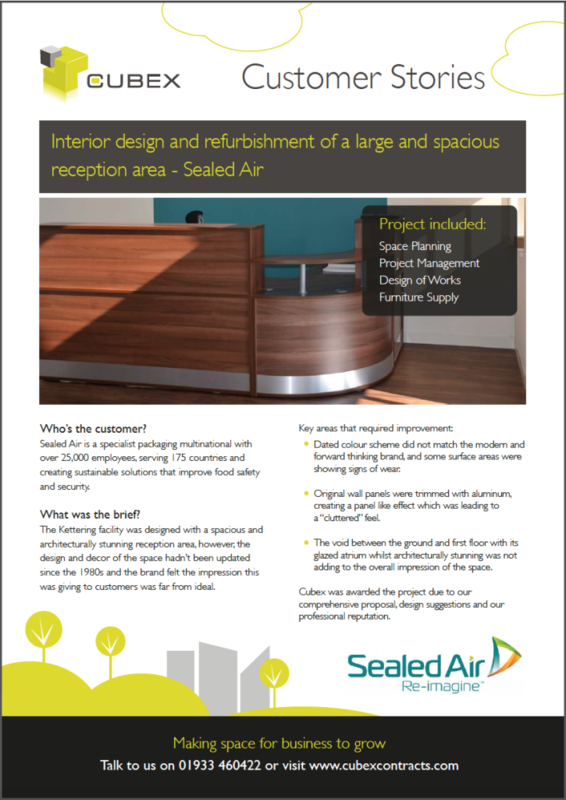 Even if you have a smaller project, this tried and tested process is still followed, and with design packages starting from just £350 + VAT we are able to help businesses with a limited budget, who still want a professional service and finish. 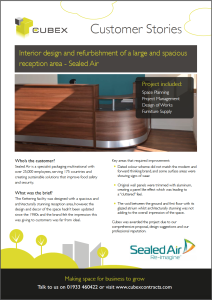 Download our design packages information here or call us on 01933 460422 to discuss how we can help. 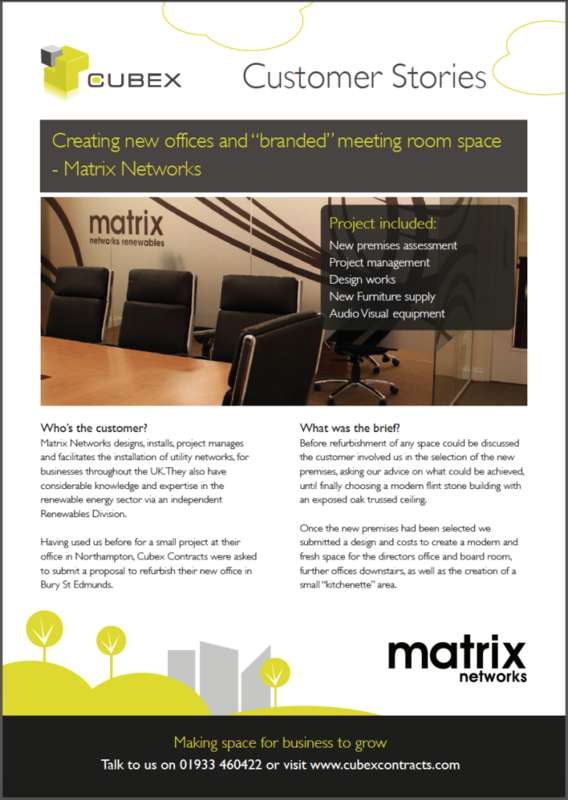 Here’s what a couple have said about us. 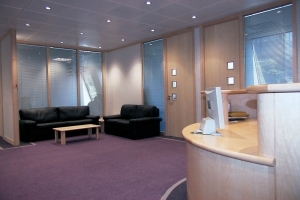 “Cubex came up with some design options for a rather awkward space and managed to completely transform our very dark and out of date Reception to a bright, inviting, modern area in keeping with our new corporate image”. 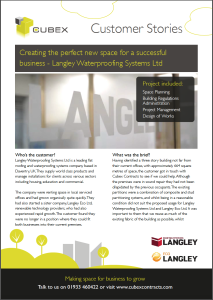 Langley Waterproofing Systems Ltd and Langley Eco Ltd. 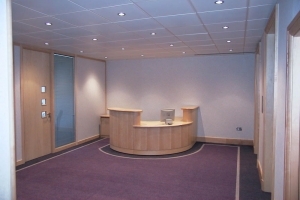 If you are looking for assistance with office design from a professional business who are experts in unlocking the potential of office spaces through creative design, and create additional space without the need to move premises, we can help. 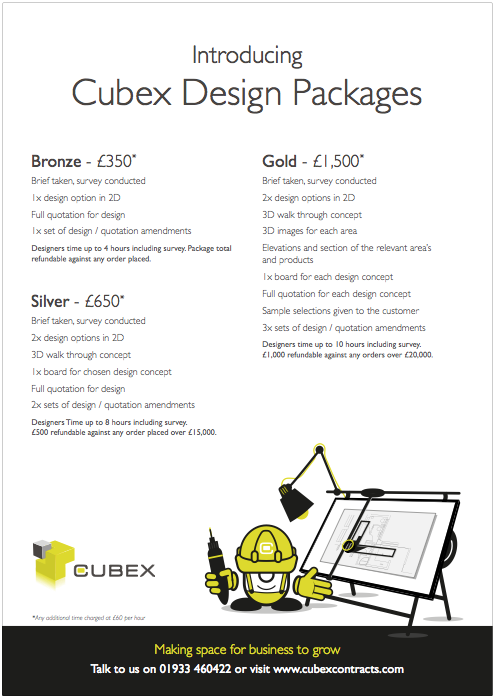 Contact Cubex Contracts Office Design team on 01933 460422 or email us today! 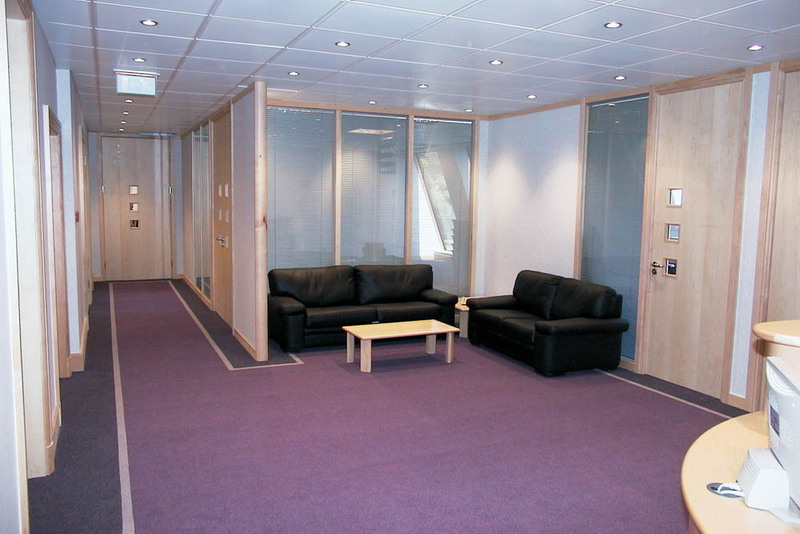 Did you know we can also supply a wide range of office furniture? On top of our creative design approach we can also supply a wide range of quality office furniture, including sit stand desking solutions. 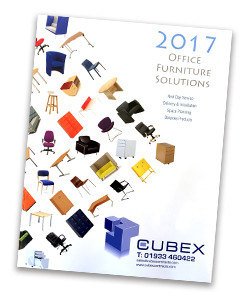 Request a copy of our office furniture 2017 catalogue or call us on 01933 460422 to discuss your requirements today!